Williams was born in Rutherford, New Jersey, a town near the city of Paterson. His father was an English immigrant, and his mother was born in Puerto Rico. He attended public school in Rutherford, New Jersey until 1897, then was sent to study at Chateau de Lancy near Geneva, Switzerland, the Lycee Condorcet in Paris, France, for two years and Horace Mann School in New York City. Then, in 1902, he entered the University of Pennsylvania Medical School. During his time at Penn, Williams befriended Ezra Pound, Hilda Doolittle (H.D.) and the painter Charles Demuth. These friendships supported his growing passion for poetry. He received his M.D. in 1906 and spent the next four years in internships in New York City and in travel and postgraduate studies abroad (e.g., at the Univ. of Leipzig where he studied pediatrics). He returned to Rutherford in 1910 and began his medical practice, which lasted until 1951. Ironically, most of his patients knew little if anything of his writings and instead they viewed him as an old-fashioned doctor who helped deliver over 2,000 of their children into the world. In 1912 he married his fiancee Florence (Flossie, "the floss of his life") Herman, who had been his co-valedictorian at Horace Mann. The newlyweds moved into a house at 9 Ridge Road in Rutherford. Shortly afterwards, his first book of serious poems, "The Tempers", was published. The Williamses spent most of the rest of their lives in Rutherford, New Jersey, although the couple did travel occasionally. One such trip was to Europe in 1924. There Williams spent time with fellow writers such as Ezra Pound and James Joyce. Williams returned home alone that year, while his wife and sons stayed in Europe so that the boys could have a year abroad as Williams and his brother had had in their youth. Much later in his career, Williams traveled the United States to give poetry readings and lectures. Although his primary occupation was as a doctor, Williams had a full literary career. His work consists of short stories, plays, novels, critical essays, an autobiography, translations and correspondence. He wrote at night and spent weekends in New York City with friends - writers and artists like the avant-garde painters Marcel Duchamp and Francis Picabia and the poets Wallace Stevens and Marianne Moore. He became involved in the Imagist movement but soon he began to develop opinions that differed from those of his poetic peers, Ezra Pound and T.S. Eliot. Thus Williams disliked Ezra Pound's and especially T.S. Eliot's frequent use of allusions to foreign languages, religion, history or art and drew his themes from what he called "the local." He coined the expression "No ideas but in things", his famous summation of his poetic method. What he meant is that poets should leave traditional poetic forms and unnecessary literary allusions aside and try to see the world through the eyes of an ordinary person. Williams wrote in "plain American which cats and dogs can read", to use a phrase of Marianne Moore, another doubter of poetic meter. He was concerned with writing poetry in a recognizably American idiom and is mostly associated with the American Modernist movement in literature, which rejected European influences in poetry in favor of original dialogues and influences. 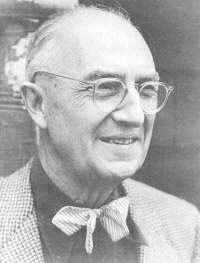 William Carlos Williams died on March 4, 1963 at the age of seventy nine. He was awarded the Pulitzer Prize posthumously for ""Pictures from Brueghel" and Other Poems" (1962) and the Gold Medal for Poetry of the National Institute of Arts and Letters. His major works are "Kora in Hell" (1920), "Spring and All" (1923), ""Pictures from Brueghel" and Other Poems" (1962), "Paterson" (1963, repr. 1992), and "Imaginations" (1970). The Poetry Society of America continues to honor William Carlos Williams by presenting an annual award in his name for the best book of poetry published by a small, non-profit, or university press.